The Ooma Telo Phone System works great right out of the box. Easy setup. Excellent crystal clear voice. Free US calls. No monthly charge except your local/state/fed tax (I pay $3.50/month). Lots of bells and whistles with the basic free service and even more with the $10/mo Ooma Premier Service (including a 2nd line). It took me almost a year before making the switch from Vonage phone service. Nothing wrong with Vonage except their extra fees kept going up all while they advertised their low base fee. I couldn't be happier with my choice. With money I saved from my monthly Vonage charge, I paid off the $150 Ooma Telo purchase and now enjoy free US calling with virtually no phone bill. Very easy set-up that even non-tech savvy users can do. You have nothing to lose if you switch to Ooma except your monthly phone bill! Read my full review. I’ve had the Ooma Telo Phone Service since March 2013. Prior to switching to Ooma, I had Vonage internet phone service for about 5 years. I loved Vonage and had a regular line and a dedicated fax line for about $40/month. I work from home and use the phone and fax for business. The main complaint I had with Vonage was the fees kept increasing. I started at about $34/mo. for both phone and fax and slowly they kept increasing the fees – those little taxes and fees tacked to your bill. By March 2013 those fees grew to $17/mo. I hate companies that advertise low prices then tack on high fees. Or internet companies that advertise low prices to get you to their page only to find out when checking out that the shipping and handling fees are more than double anyone else. As I said, Vonage, with taxes/fees for one line is about $35/mo. plus a one time charge for the Vonage Box – about $40. Ooma Telo costs about $115 – $150 one time charge for the box. Then all you pay are monthly taxes. They vary depending on where you live. I pay about $3.50/mo in S. California. So, payback time for Ooma is about 4-6 months… after that your phone service is basically free ($3.50/mo) with Ooma Telo Service. Ooma charges $40 to transfer your current number. That fee is waived if you sign up for Ooma Premier Service. I’m not sure what Vonage charges to transfer your phone number. You plug the provided cable from your router to the back of the Ooma Tele. Then you plug your phone into the back of the Ooma Tele. Then wait while it configures itself. Lights will blink and flash and finally if all went well will all turn to blue and stop flashing. You’re set. I was almost going to ditch my fax. I get maybe 1 fax every couple months now. But every now and then, it is nice to have a fax machine to fax out, or have available for a client or vendor to fax me. I didn’t want to pay $40 to switch over my old fax number, so I got a new (free) number through Ooma. To get that 2nd line you have to buy Ooma’s Premier package (about $10/mo) – more on that later. I did have to buy a little Ooma device called a Linx (about $50). It is a wireless module that I plugged my fax into. When I decide to ditch the fax, I will use this for the home phone which is still on Time Warner Cable ($35/mo). I had to do a couple things on my Ooma control panel online to make the fax a dedicated line. Took about 10 minutes (for me). So far the fax works 85% of the time. I had a friend fax me as a test and her fax never came through. However, as far as I know, all other faxes have come through. I’ve faxed out with 90% success. Not sure if the 10% failure was Ooma’s fault or just typical fax error. In a nutshell… Yes, you can have a dedicated fax line using Ooma. Yes, it is easy to set-up. Yes, you do have to purchase the Linx wireless device (about $50). Yes, the phone number is free (or $40 if you want to keep your current fax number). Yes, you have to sign up for Ooma Premier service ($10/mo). But the Premier Service does more than just give you a 2nd line. More on that later. To Vonage’s credit, they offer a lot of features for their base price. Call forwarding, voice mail, voice-to-text email messages, call blocking (somewhat), and several other features. Ooma’s basic package offers basic services but does include voicemail, call waiting, one-touch answer machine message retrieval, and more. 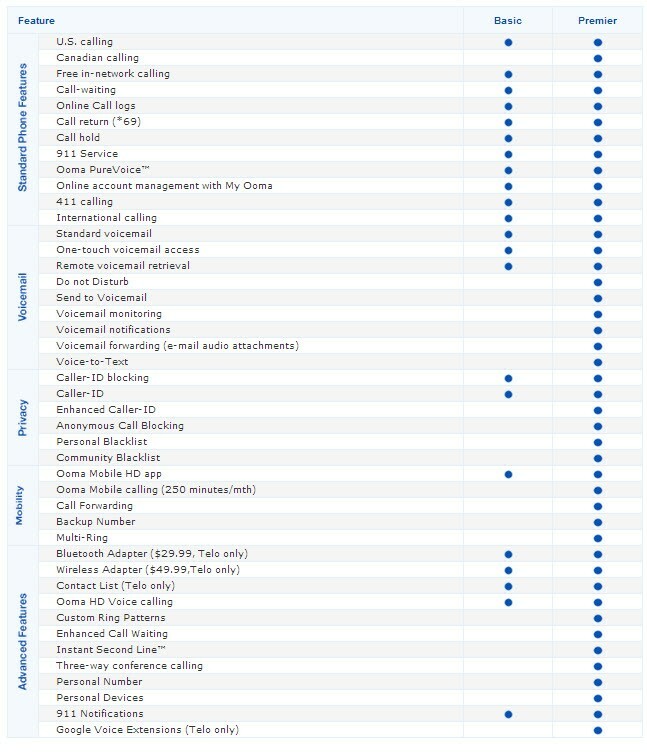 See chart below for Ooma Telo Basic features vs. Ooma Teleo Premier features. Compare Ooma Basic to Ooma Premier. Learn More. As you can see above, you get quite a bit with the Premier Service. For me, I wanted that 2nd line. My favorite thing in the Premier plan is the call blocking (personal blacklist). I hate all these telemarketers – and I’m on the Do Not Call list (which is a joke now). With Ooma Premier Service you can log in to your online account, pull up a log of phone calls, and tag the telemarketer numbers as blocked and set it that they get a this number is no longer in service message. I also set up my account so any “Unknown” caller Id is routed directly to my voice mail. I don’t even know they call. Initially I blocked all “Unknown” but a couple friends got blocked, so I changed the setting to go to voicemail. Like I said, I use Ooma for my home business – so I am at my computer all day. I keep My.Ooma.com open in my browser and when I get a spam phone call I imediately flag that number. Another feature (Vonage also has this), is I having my Ooma Phone with Premier Service to ring a backup number (my cell) in the event my internet service goes down. That way I will never miss a call. You can also set it to ring both your Ooma phone and your Cell phone (or any other number – let’s say your vacation house). You can also set up custom rings – but I haven’t so far. When you get your Ooma Telo, you get a 60 day free trial of Premier Service to check it out. If you purchase, it will cover the $40 they charge to transfer your phone number. I paid annual and got the service for $99. My cost: I pay $3.50/mo taxes, $8.25/mo Premier ($99/yr) = $11.75/mo. My initial outlay was $150 (got a deal) for the Ooma Telo & the Wireless Linx hub. Amazon has the Ooma Telo device for $117 with free Prime Shipping as I write this review (normally $150). Not too bad for FREE calls in US… I think Canada & Mexico have good rates – I don’t call out of country. In 6 months I have had ZERO problems and have not had to contact Ooma support. Ooma Phone – which phone to use? Ooma sells an internet phone. You do not need this phone. 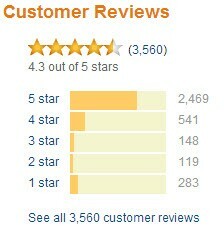 It actually gets fairly poor reviews. So what phone should you use with Ooma? The easiest way to hook up your phone system is to use the phones that use a phone hub with satellite phones. I have Uniden phones for my office. 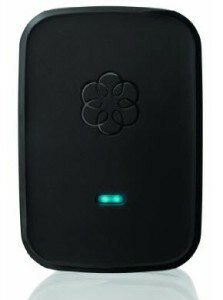 I merely plug the hub phone (the main unit) into the back of the Ooma Telo and all the satellite phones work with Ooma. So whether you have vTech, Panasonic, Sony, or whatever, they will work just fine with the Ooma Telephone System. Vonage is a good alternative to standard phone service and should save you money – but not as much money as Ooma. 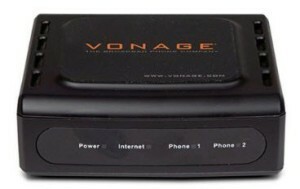 With Vonage, you need a special modem with phone jacks or a special little device that connects to your modem that you plug your phone into. Sometimes Vonage has specials where you can get these for free if you sign up or at a discounted price (About $40 at Walmart). Hook-up is fairly straight forward. I had the Vonage modem that had 2 phone jacks – one for my phone the other for my fax. I had to run a long phone cord from my fax to the modem. Voice quality is good. As I mentioned earlier, I have no complaints with Vonage except for their tack on fees which continued to increase. Because these are both internet based VOIP (Voice Over Internet Protocol) it is easy to take your phone with you if you travel. Merely take the device – the Ooma Telo or Vonage box – and plug it into a router at your destination. My story: I live in Huntington Beach, CA. My mom lived in Elkhart, IN. She became critically ill in 2008. With no time to prepare, my wife, myself and our dog hastily packed my car, I grabbed my computer and my Vonage router and headed for Indiana. Once we got to my mom’s house in Elkhart, I set up my computer, plugged my router into her modem and plugged a phone into the Vonage router. I was open for business. When a client called my 714 CA business number it rang at my mom’s house. I answered as usual and most of my clients didn’t even know I was in Indiana. Business as usual. My mom lasted another 4 weeks before passing away. I was so glad to be able to be with her during that time. She died peacefully at home. We stayed another 4 weeks getting her house ready for sale. I could have done the same with my Ooma Telo. If you wanted to take an extended vacation out of the area or visit relatives, you can take your phone and in my case, my entire business, with you. Which One to Get – Ooma vs Vonage? I have not tried Magic Jack or some of the other services so can not comment on them. I would stick to the major players and that is Ooma and Vonage. Good luck! This product was manufactured by ooma. We purchased an Ooma Hub & Scout in April 2009 to replace a Vonage VoIP connection. We are very satisfied with the hub, and therefore purchased an Ooma Telo for a second location. This review describes our Ooma Telo experience so far, and compares it to the Hub/Scout. The Telo is well designed and sleek. The controls are touch controls and very sensitive. There is a USB port in the back – presumably for future expansion. Like the hub, there are two RJ45 ethernet jacks – one to connect to the “internet”, and the second to connect to one’s home network. There are also two RJ11 phone jacks. One to connect to your existing landline, should you have one, and decide to integrate the landline and Telo. The other is to connect to your phone. cbrillow "tellin' it as he sees it!" It’s been a little over a year since I wrote this review. Approximately 6 months after installing the Telo, I wrote an update that outlined an issue that diminished my initial enthusiasm about it. That update concerned an annoying delay that we experience, likening some conversations to that heard with 2-way radios, where it’s easy for users to “talk over” one another. This update, however, reports on the failure of my unit and Ooma’s customer service response in addressing it. The Ooma Telo replaces or will replace the Ooma core system. The core system included a hub and scout. The scout and services of the scout are gone from new Ooma devices. In the future, some (but not all) services of the scout may return via the proprietary wireless Ooma Telo handset. For those who don’t know, Ooma is an internet telephone company. This means it uses the Telo to make and receive telephone calls, instead of using your local phone company and its wired network, Ooma uses your internet connection. Companies that use internet to make and complete telephone calls are using Voice Over Internet Protocol usually referred to as VOIP. Older phone technology to a home is often referred to as POTS (plain old telephone service). With Ooma you can replace your current home phone, or you can use Ooma to supplement it. Ooma lets a customer decide how they want to use their service with respect to existing POTS service. Best Dog Poop Bags Ever!